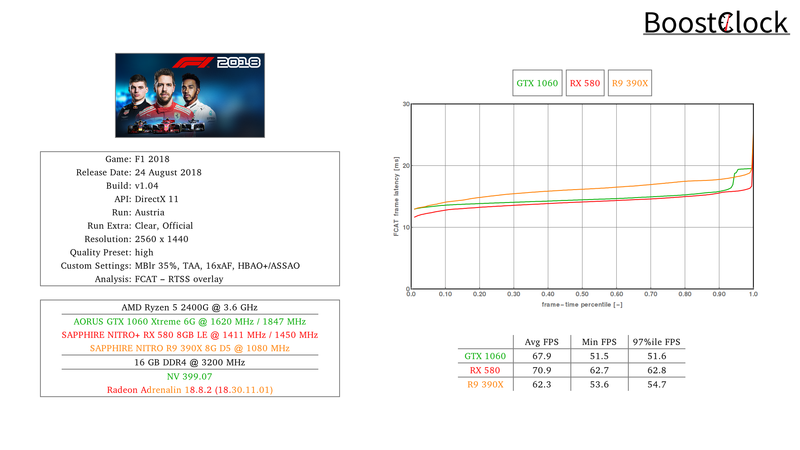 For this round the settings were dialled back to high but the advanced, fine-tuned ambient occlusion algorithm was enabled for both GPU vendors - HBAO+ for NVIDIA and ASSAO for AMD - to assess whether the graphics cards can maintain playable frame rates at 1440p resolution. 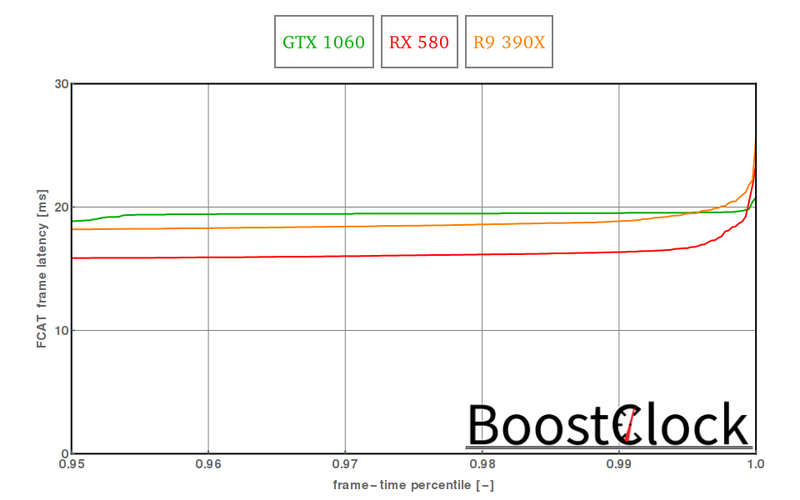 Frame times are great and not much separates the GTX 1060 from the RX 580. 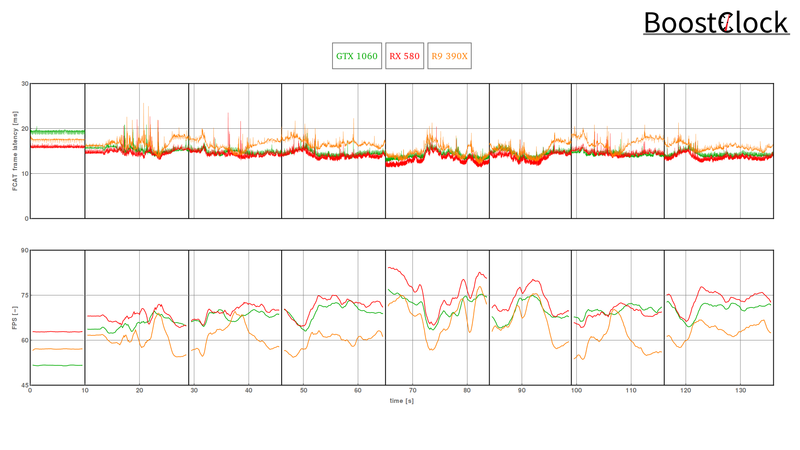 The R9 390X comes home in 3rd after an impressive lap around the high-speed Austrian track.